Apr 10, 2019 | 1 Votes by jose 10 rate Your vote Google will be coming out with a new and innovative cloud based game streaming service. Lets take a quick look see at what it is. Game streaming has become such a popular followed activity on the Internet today. Streaming companies are continually making huge profits as more and more gamers take to streaming as a way to gain views by sharing their gameplay. Almost every major player in the games device industry from Sony PlayStation to Nvidia are providing their customers streaming services in one way or another. Google for its part has been providing game streaming through YouTube. Competition, however, is strong as many gamers have been used to stream their games on Twitch among other services. To go one step further, Google is coming up with a service that integrates multi-player gaming, streaming and access to the games themselves in one cloud computing package and they called it Google Stadia. Stadia (which according to Google they got from the word Stadium) is Google's cloud-based streaming service that will let you connect to their gaming service using any internet access device. The games will be available on their cloud servers and you can access them from there with your PC, game console or portable mobile devices. One important feature of the service is that as the game is streamed through YouTube and other Google portals, viewers will have the option to join the streamer in the game he or she is playing in real time. This will let game streamers create game lobbies to invite viewers to play with them then and there thus the multi-player aspect of the game. Google's move is a bold and innovative one but the idea when put into practice will have some realistic hurdles to overcome. One such hurdle would be the flexibility and availability of the initial service. Stadia is scheduled to launch within this year (2019) but accessibility will currently be limited to Google's own proprietary services like Chrome. Without a Chrome browser, you will not be able to access Stadia (in a way like NetFlix). This will leave users of other browsers (Safari, Firefox, etc.) out of it. Another actual hurdle would be Internet and online accessibility. Stadia Will need a connection of a minimum of 25 Mbps for 1080p resolution at 60 fps. It may even go up to 30 Mbps so you will need a good broadband connection to use it. Stadia basically streams at 4K or 1080p so you will need a no cap Internet service as your gaming streams can reach to the GB level. Lag will be a big issue as well and although Google will rely on a fast cloud service, the further you are from the server the greater the possibility of latency occurring. Those living in rural areas where the Internet connection isn't that fast would be the ones greatly affected by this. Also, Stadia is cloud-based so no off-line gaming. You will have to connect to the cloud. Graphics quality will depend on internet connection and speed. The service compresses data as it moves from server to Stadia device client so the image will be affected. A larger bandwidth will provide a higher bit-rate and lessen the negative effects on this. Another thing worth mentioning is the competition. Stiff competition will come from the currently deeply entrenched gaming console giants PlayStation and Xbox. Sony has the "PlayStation Now" streaming service and Xbox will start trial on its xCloud service as well. With a competition like this, they will no doubt double-up their own streaming services. Aside from the console game industry, companies like Amazon, Nvidia and Valve/Steam and even Facebook will and have been pushing their own game streaming services for some time now. Google will be providing users a Stadia kit as part of the service. 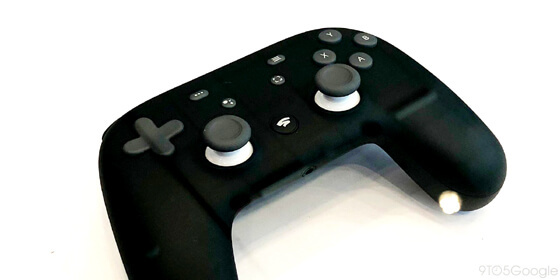 This will contain the Stadia controller which is a gamepad controller that connects directly to the game in the cloud. This will eliminate or reduce lag whenever possible as it does not have to rely directly on the device that you use to connect to the internet. The controller also exports a Share to YouTube button, a Google Assistant button, a built-in Mic and a USB-C port as well. The Stadia cloud server uses Unix so a lot of games may have to be ported over in order for Stadia to provide them. At this point it would still be too early to really say but If you purchase a game from Google Stadia and as it is cloud-based, you will not be able to download it or in case of multi-play, a client of it. Withstanding that, Google will now have to encourage and attract the various game companies and developers to support its platform and will be launching its own game development division called Stadia Games and Entertainment to work on its Stadia future game projects. With all said and done, we can only wait and speculate on the outcome of how Google Stadia will perform and be accepted when it is finally released. Just to mention, Google does have some viable issues when it comes to public trust despite its dominance (or because of it), many are always wary of Google’s actions. Google and YouTube specifically have been constantly accused of being biased and manipulative, a reason why many would rather go for alternative services when possible in the first place. On a positive note, let's hope that Google can successfully pull this one through. As for being the future of gaming, maybe.